Nothing can beat the sound of a top-quality, high-end synth, but equally, there are times when what you want is something cheap and cheerful. Before you set out to raid the car boot sales, though, check out this instalment of SampleRadar, which features loops, sounds and hits from some classic affordable synth hardware. 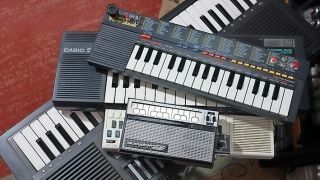 The cheap synth samples are divided into six folders, each of which contains samples from a specific synth. There are further sub-folders within each of these. The cheap synth samples are supplied in a zip file, so you'll need to extract them before you can see them. Enjoy!